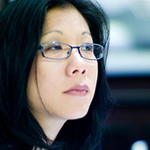 Mizuko (Mimi) Ito is a cultural anthropologist, studying youth new media practices in the US and Japan. She oversees research activities of the Digital Media and Learning Hub and is Chair of the MacArthur Research Network on Connected Learning. She is a Professor in Residence at the UC Humanities Research Institute, and has appointments at the Department of Informatics and the Department of Anthropology, and is the John D. and Catherine T. MacArthur Foundation Chair in Digital Media and Learning at UC Irvine.